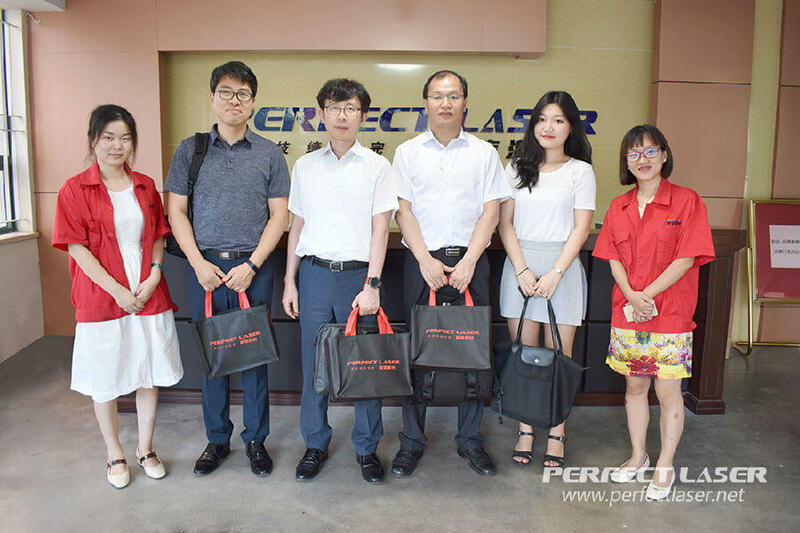 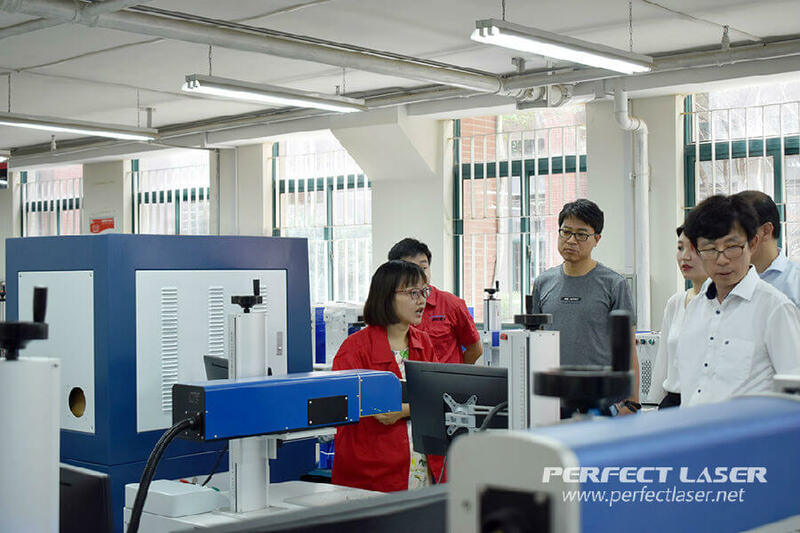 July 18, 2017, South Korean customers come to visit Perfect Laser and see the company's main models: fiber laser marking machine and ink jet printer. 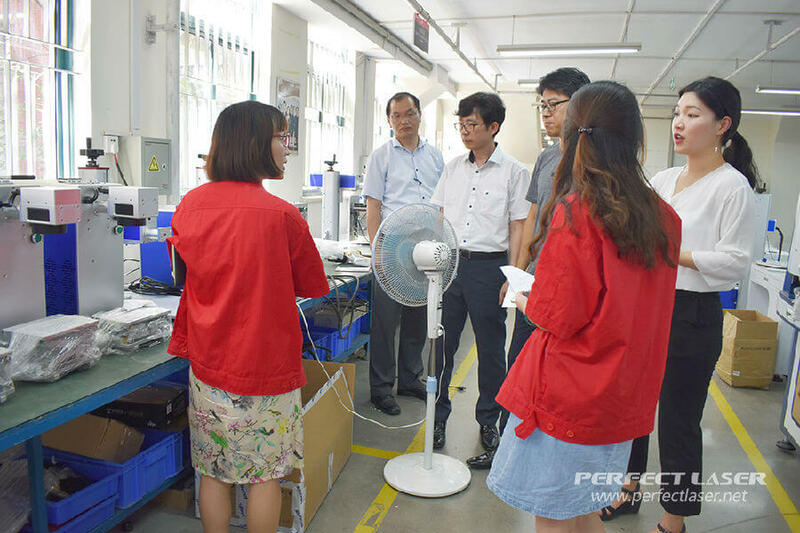 At the beginning of the meeting, South Korean customers come up with the carefully prepared gift, with beautifully packaged and quite Korean characteristics, it makes us feeling honored and see the enthusiasm and the sincerity of cooperation from this company . 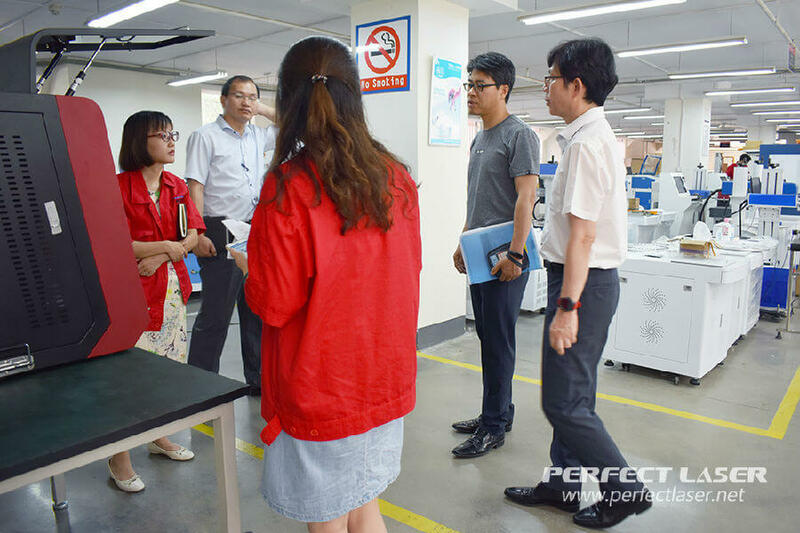 Accompanied by our foreign trade manager and salesman Maggie, the customers visit and learn more about our fiber marking machine and inkjet printer's operating procedures and performance.The most surprising and amazed customers is the our LCD fiber laser marking machine, it with remote transmission function, and you can through the MES server to achieve the docking between the two computers, while also supporting the function of online flight. 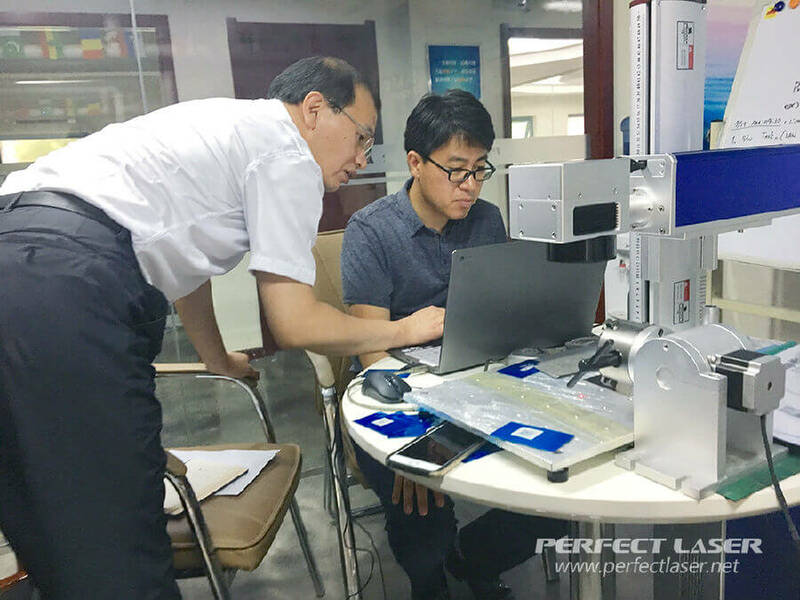 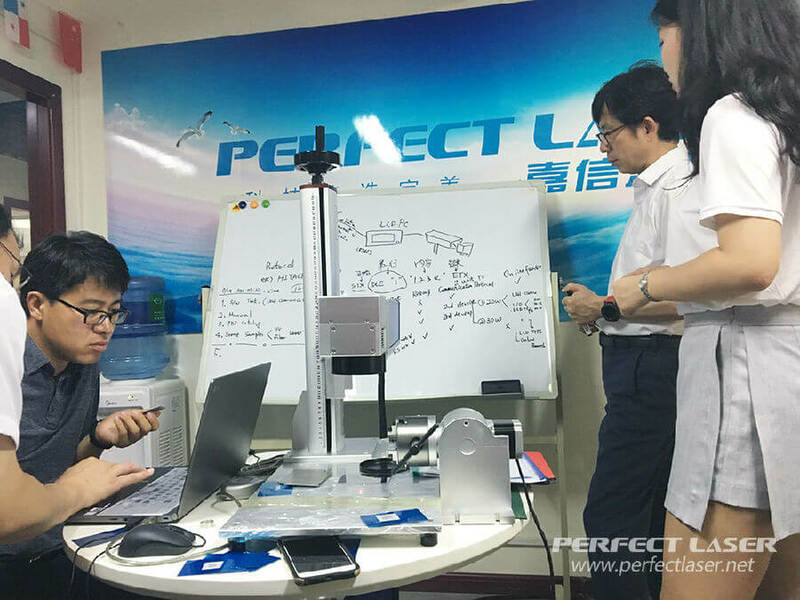 They purchased two units fiber laser marking machine on the spot, and hope to establish the long-term and friendly cooperation with us.